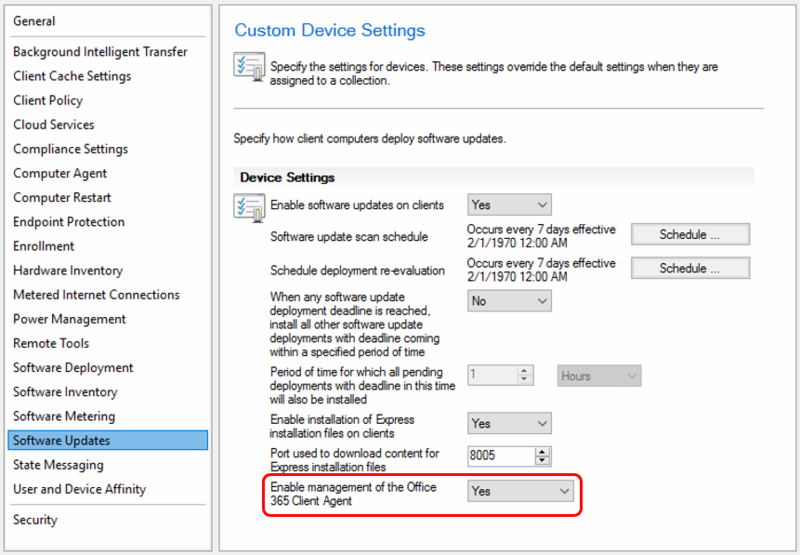 ConfigMgr admins have several options now to manage Office 365 clients. The console has several new dashboards that will tell you about your environment. Some of the information includes client versions, number of deployed clients, and the release channel of your clients. You can also build Office 365 client installers straight from the console and deploy the client updates. First, lets use the console to build an installer. To do this, go to Software Library > Office 36 Client Management. On the right side of the screen is a button labeled “Office 365 Installer”. Lets give our installer a name and content location. Now we have the option to either import an O365 configuration file, or manually specify our settings. If you already have a config file, you can import it here. You can see that we also have the option of installing Visio and Project using both an O365 subscription and volume license. You can also set the Suite to none and just install Visio or Project. Next, we can specify architecture, channel, and version number. We can also add additional languages and settings. Finally, we can deploy the application, or just have ConfigMgr create the application for us to deploy later. First, you have to enable ConfigMgr’s ability to manage the Office 365 client. This is a simple ConfigMgr client setting under the Software Updates section of client settings. 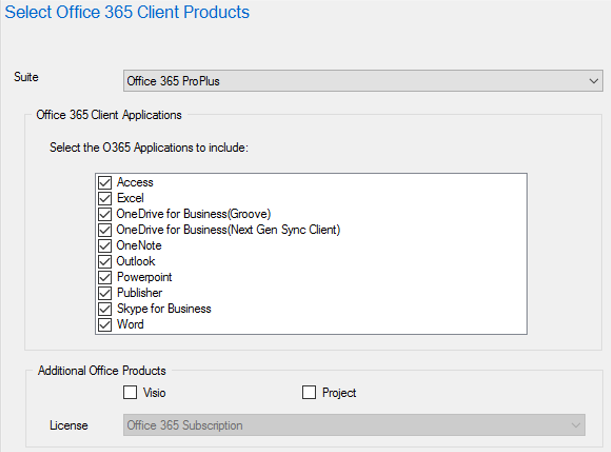 Now we can manage client updates for Office 365. The rules and configuration is available in Software Library > Office 365 Management. These look and feel somewhat like a regular ADR rule. You can create your rule and deploy it to a collection. After you configure you deployment, you’re all set. This section also provides nice graphs telling you what devices have differing versions of Office, and which channel machines are in.